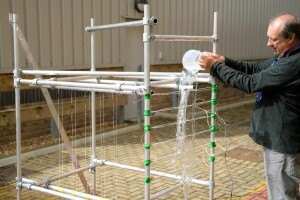 A new collaborative NERC-funded research project, led by the National Oceanography Centre and HR Wallingford, is taking a low-cost instrument previously used to measure waves in the open ocean, and converting it into an easily relocatable overtopping measurement system – WireWall – that can more confidently assess coastal overtopping hazards, and so help to optimise future sea wall design. The design of new coastal flood defences and the setting of tolerable hazard thresholds requires site-specific information of wave overtopping during storms of varying severity. 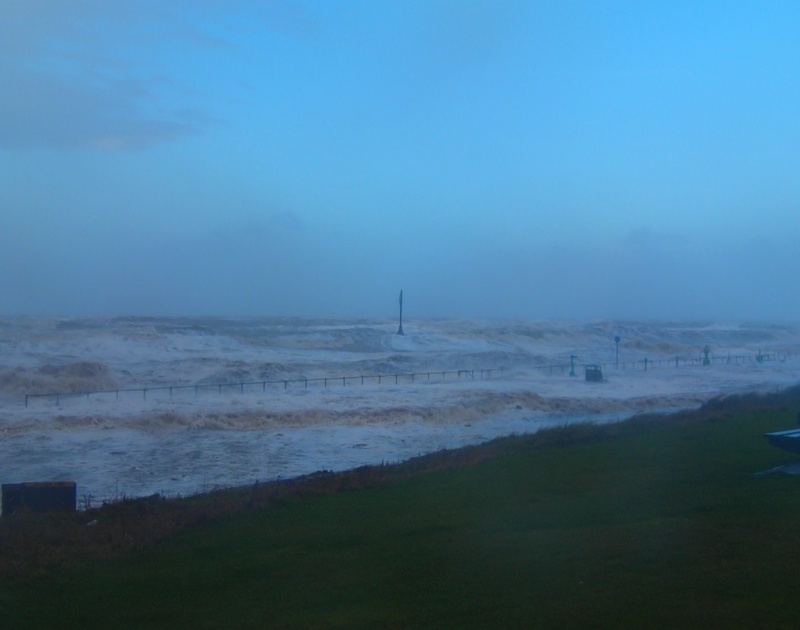 By converting an existing wave measurement technology into an overtopping monitoring system “WireWall”, field observations of wave-by-wave overtopping velocity and volumes will be made at our case study site Crosby during the winter 2018/2019. develop site-specific safety tolerances to inform flood risk response plans. Recent advances in technology mean existing wave height sensors can now measure at the high frequencies (a few 100 Hz) required to obtain overtopping data, making this the ideal time to initiate a step-change in coastal hazard monitoring capabilities. At Crosby, the 900 m seawall will reach the end of its design life in the next 5 years. Deployments at this site will provide the Coastal Group with the site-specific data and calibrated overtopping tools that they need to design a new, cost-effective seawall. The deployment of WireWall at Crosby will be the first step towards the development of an overtopping monitoring system that could ultimately be integrated into new coastal schemes as part of the UK’s regional shoreline monitoring programmes. For more information keep an eye on the Channel Coast Observatory website, follow us on twitter @NOCnews #WireWall or keep an eye out for us on the slipway at Crosby Coastguard station this winter when we will be testing the field rig. ← 11 North West Beaches Win Awards!